This week we’re talking all about staying safe while welding. 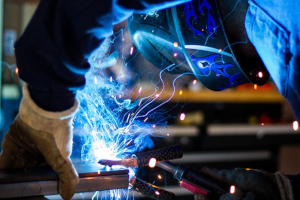 There are a number of potential health and safety hazards when it comes to welding, including exposure to chemicals, fire and explosion risk, arc flash, and electrical shock. The shop can be a dangerous place if you’re not vigilant about implementing and following safe welding policies and procedures. Which is why you’ll see this topic come up regularly on the blog. Today’s post will talk about general safety hazards and ways to mitigate the risks in the welding shop. Exposure to fumes, gases, and chemical dust is a common hazard in welding shops. Overexposure to these substances can cause serious health problems. Taking time to properly set up a workspace and use suitable protective equipment is the best way to avoid damaging exposure. This can include ensuring there is proper ventilation and using equipment such as respirators designed for the type of work being performed. Many of the substances in a welding shop also pose a risk for fire and explosion. There is potential to ignite a substance from the high temperatures of the welding arc itself and from the sparks, which can spatter up to 35 feet. A pre-check of the work area is crucial to determine if there are flammable materials located nearby. It is also important to know where fire exits and fire extinguishers are located in the case that a fire is ignited. Arc flash poses a risk of burns from exposure to UV-radiation coming from an electric welding arc. This radiation can impact eyes and skin that is not properly protected. Using the proper protective equipment is important in preventing arc flash. This includes apparel, gloves, and helmets that protect welders from flash hazards. Arc welding also poses the potential threat of electrical shock. Welders should ensure that their electrode holders and cables are properly insulated, and that they are wearing dry gloves and clothing which are in good condition. 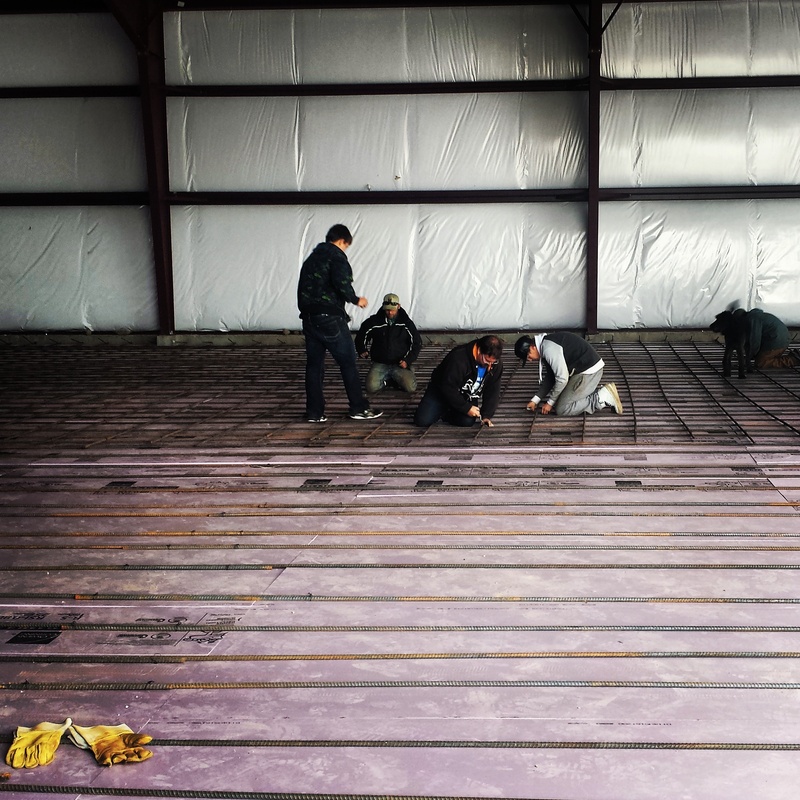 A rubber mat can also improve insulation and reduce the risk. Welding safety starts outside the shop with effective education, training, communication and habits. 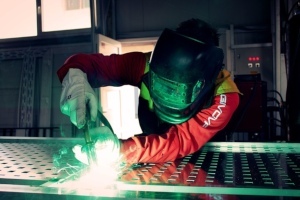 Having safety policies and procedures in place, communicating these and their importance to employees, and practicing safe habits daily are important parts of maintaining safety in a welding shop. Everyone working within the shop should be aware of hazards and have the proper tools for approaching the job in the safest way possible. Making these a central part of your operations will help keep everyone safe and healthy on the job. Did you know the welding industry has its roots in the Bronze Age? Then & Now: Your Welding History Timeline goes back in time to see where we've been and where we're going. Speaking of the future of welding, learn how Lincoln Electric is using virtual reality to train the next generation. The CWB and LNG Canada are inspiring 11-17 year olds to join the welding trade with their Arc to Spark Welding Camp for Youth in Kitimat, B.C. Read about how one welder took his passion for welding into the digital age in From Fabricator to Instagram Influencer: The Story of Dave Blackburn. Brush up on your welding knowledge with these Top Ten Fun Welding Facts You May Not Know. Wondering what National Welding Month is about? Check out this post from the American Welding Society that explains what it is and why it's important. We are always excited to showcase our projects at Bros Welding & Services, Ltd. 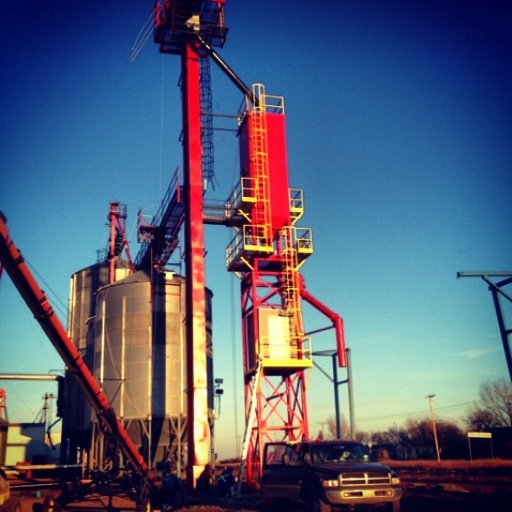 Here is a grain handling installation project that was completed in Fall 2013. 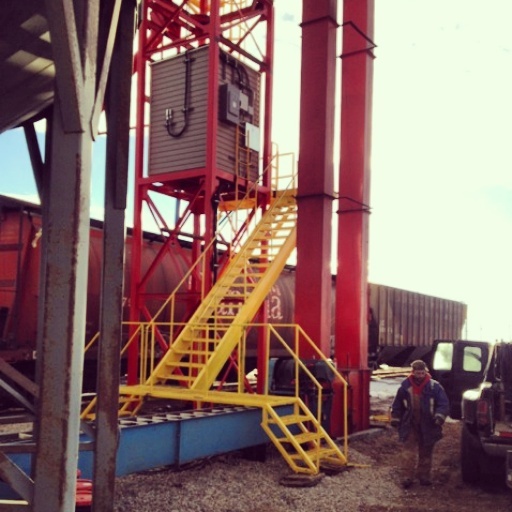 Bros Welding installed a new leg and bulk weigher for loading CN train cars at PulseLink Ltd., a lentil seed cleaning plant located in Zealandia, Saskatchewan. 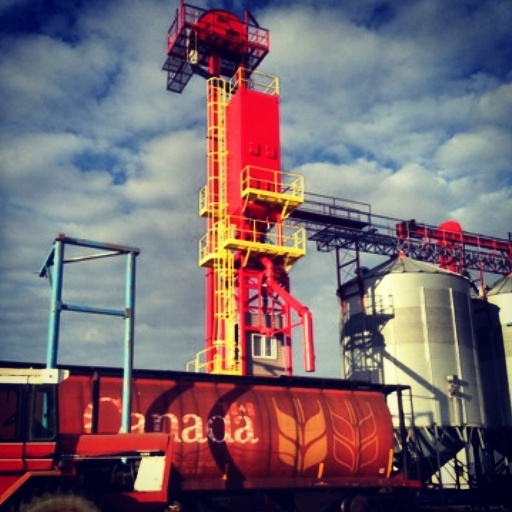 The unit was certified after the installation so lentils can now be shipped to companies outside of PulseLink Ltd. The stairs and walkway in the photo below were designed and custom made by Bros Welding for the leg and bulkweigher project. 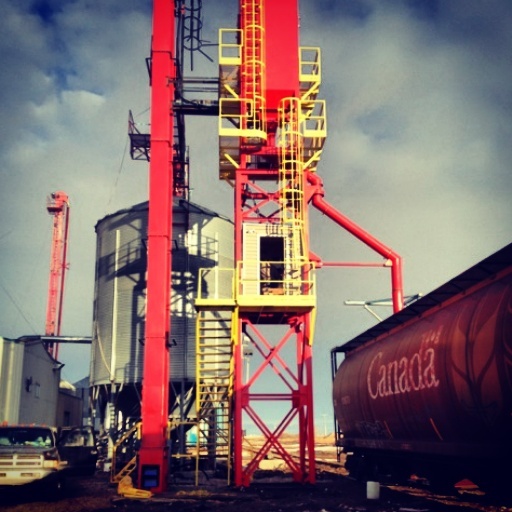 The grain handling installation project was started in mid-July 2013 and was finished in October 2013. As a result of the project, PulseLink Ltd. has the ability to load 8 to 9 train cars per day which is up from an average of 4 per day before the installation. Bros Welding Celebrates Six Years in Business! This month, we celebrate Bros Welding & Services, Ltd.’s six year anniversary! It is hard to believe how far the business has come since we first opened our doors in 2008. 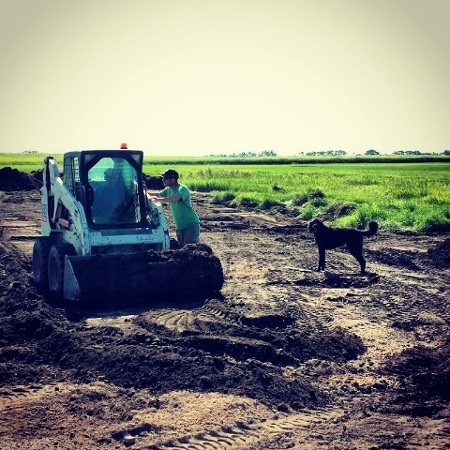 I still remember how nervous I was, being a first-time business owner and a new resident in the town of Rosetown, Saskatchewan. With the support of my family and a lot of hard work and dedication, we’ve been able to not only sustain but grow the company in the six years since the start of this venture. This year will be an exciting one for Bros Welding: a new shop location to be opened in 2014, continued job opportunities for Journeyperson Welders and labourers in Saskatchewan, and a new service line to be announced before the end of the year. I expect there to be a few other adventures along the way, and I look forward to every minute of it! As we celebrate another year, I want to take the opportunity to thank my clients. We appreciate every opportunity provided to us and thrive on the challenges that continue to be thrown our way. I also want to thank my employees for their hard work and commitment to Bros Welding. Finally, I want to thank my family because without them, Bros Welding would not be where it is today.